The Bio Bidet Simplet BBC-70 is a very affordable entry-level manual under-toilet seat bidet attachment. It’s basic design and one dial operation makes it a good choice if a super-simple manual or natural water unit is desired. The BBC-70 delivers an effective posterior wash through one removable nozzle. 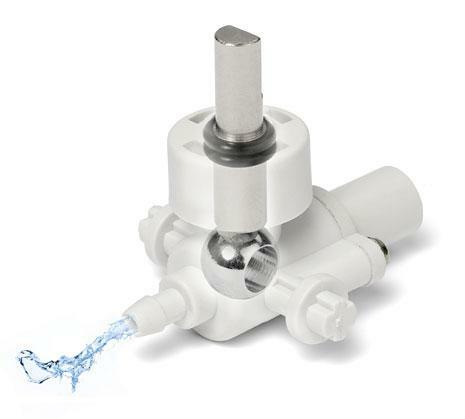 Its Positive Stepping Pressure Control allows easy gradual control of the water pressure to meet varying needs unlike other competing models that often only allow a couple of water pressure settings. The BBC-70 also allows for easy removal of the nozzle assembly that makes cleaning very easy. Also unlike most other cheap competing models that use plastic instead, the internal valves, inlet and stems are made of silver brass thus substantially increasing reliability and longevity. The BBC-70 model combines quality and durability with easy maintenance. The BBC-70 is supplied with a high-quality and durable 900mm stainless steel braided hose and a solid brass T-valve, which makes installation safe, quick, and simple. The BBC-70 is also supplied with an extra Australian Watermark approved backflow prevention valve to comply with Australian plumbing regulations. 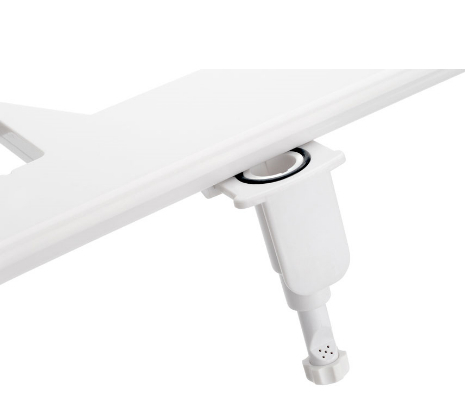 As expected, the BBC-70 comes with 100% warranty coverage for a full year from the date of purchase and is delivered FREE to anywhere in Australia where are our national courier or Australia Post deliver. 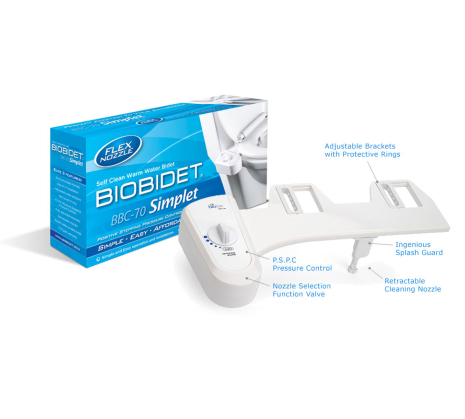 Your Bio Bidet BBC-70 Simplet comes with a 1 year warranty from date of original purchase. This is worded differently to the warranty that is listed in the User Manual that only applies to customers in the United States. Click the button below to add the Bio Bidet BBC-70 Simplet to your wish list.